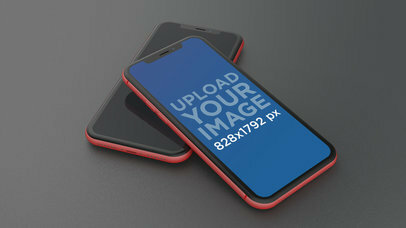 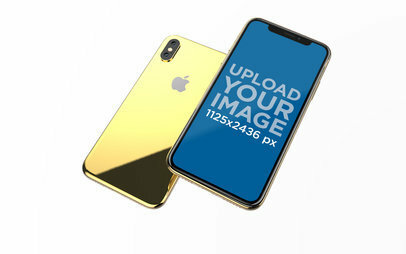 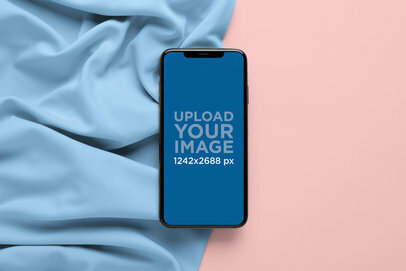 The image displays an iPhone 8 over a solid colored background. 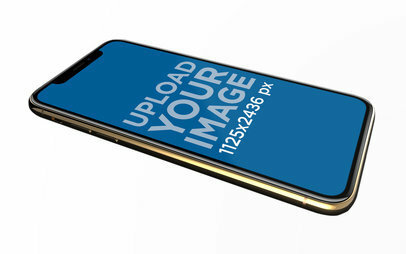 Two different angles of the IPhone 8 are shown. 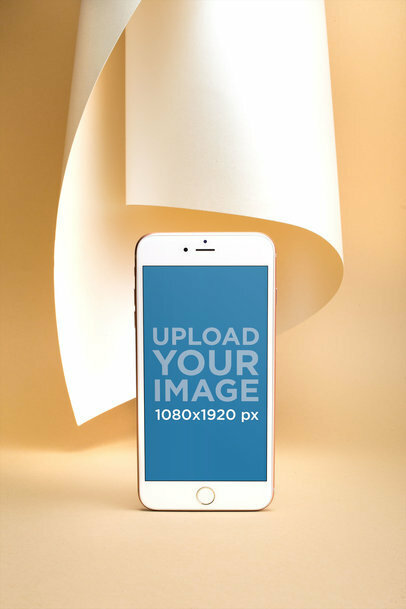 Its sleek metallic surface glimmers in the light. 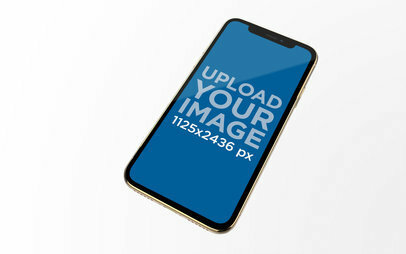 The image has a watermark that says "Placeit". 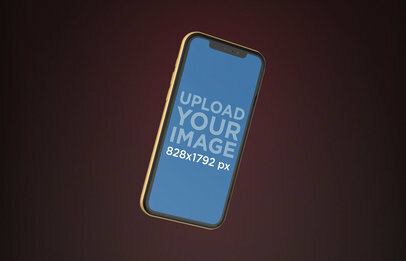 A black iPhone 8 is suspended in front of a solid background. 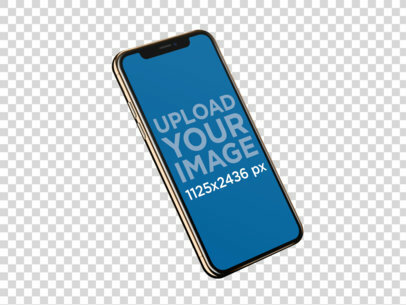 The screen is angled slightly away from the center. 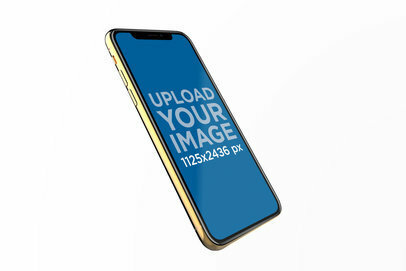 It is tilted back slightly such that the charger port and speaker holes are just visible on the bottom edge of the phone. 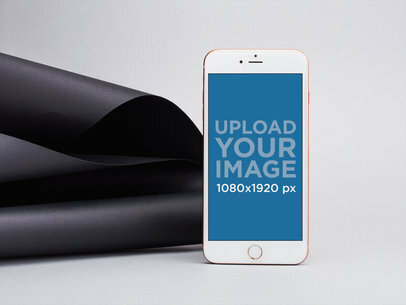 An iPhone 8 is laying on a dark gray surface. 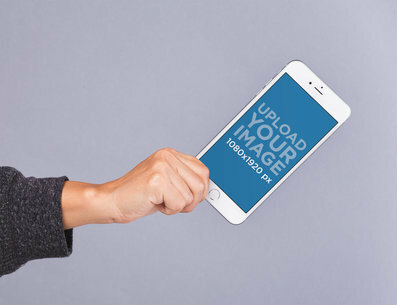 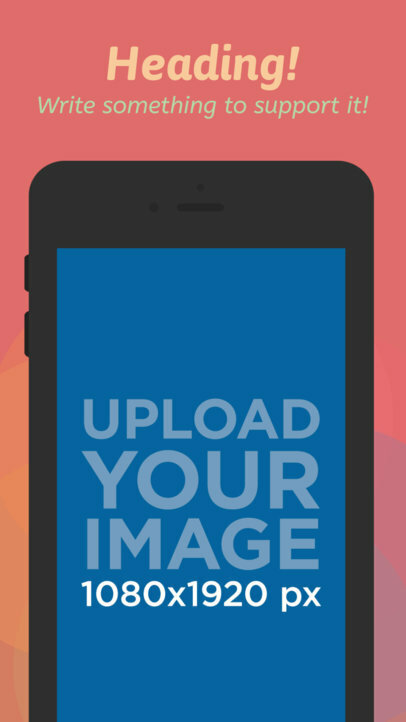 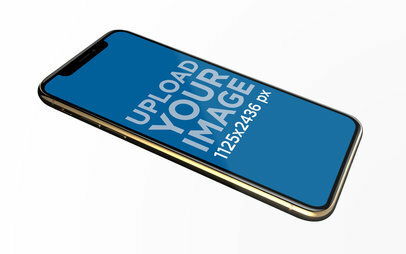 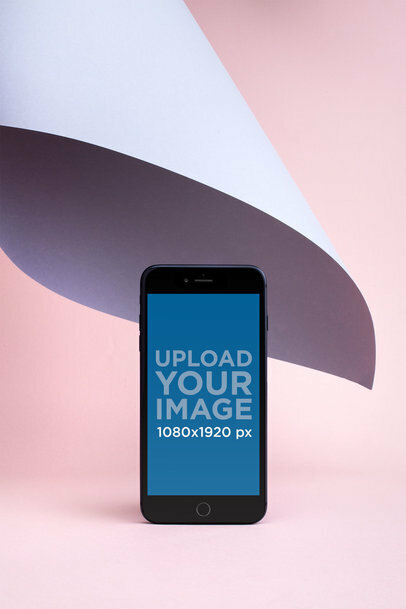 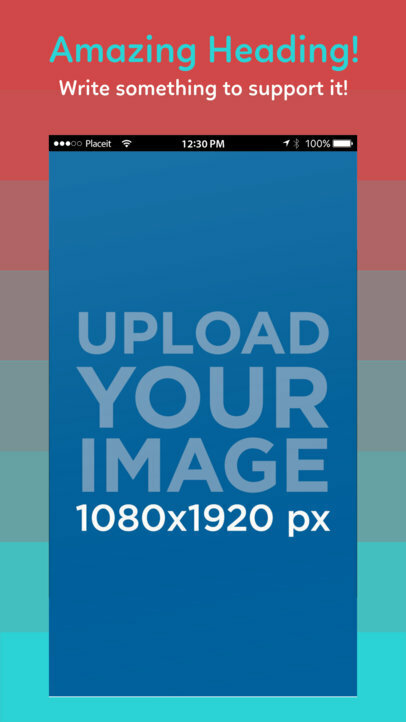 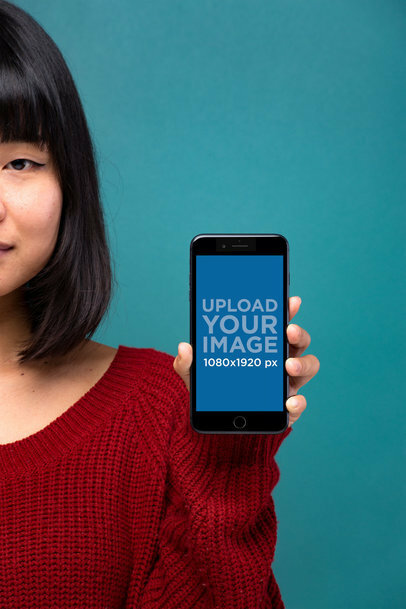 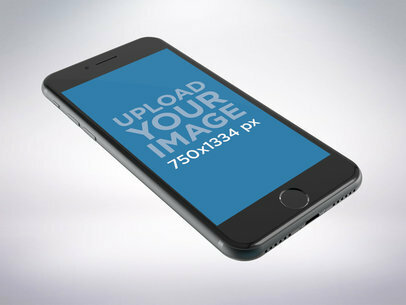 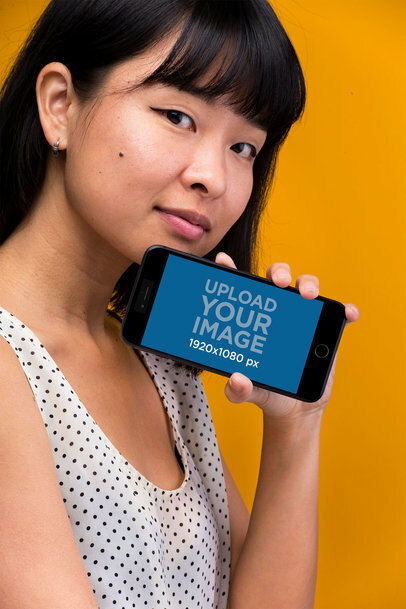 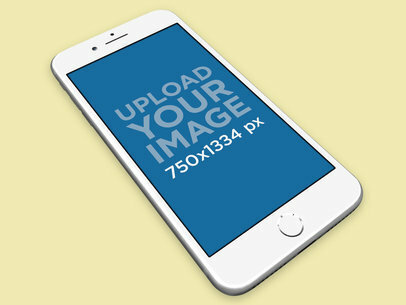 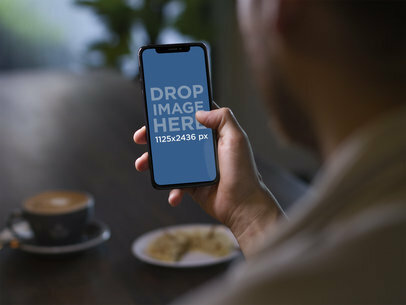 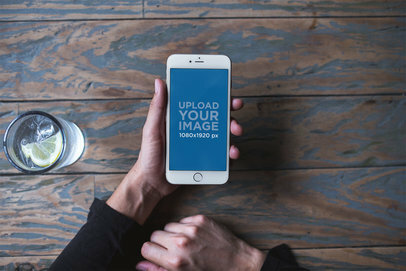 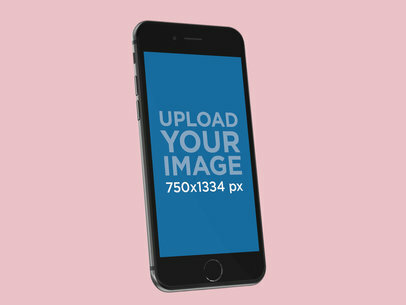 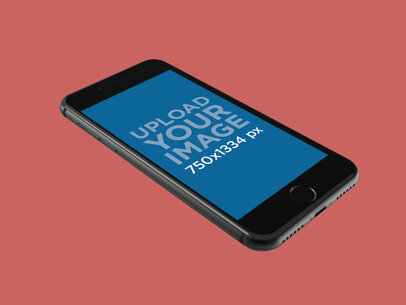 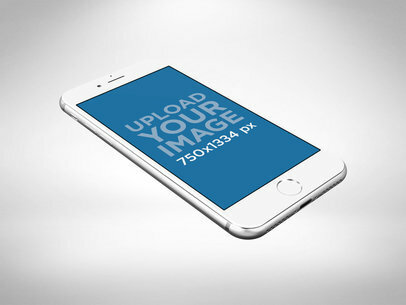 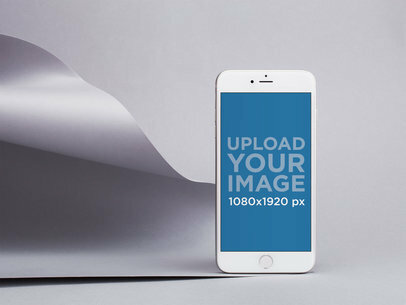 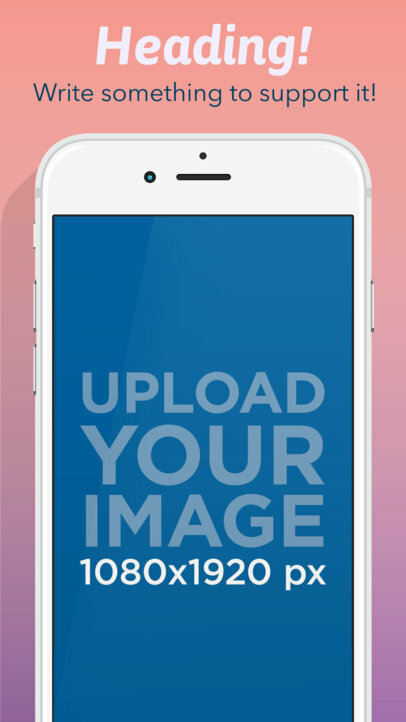 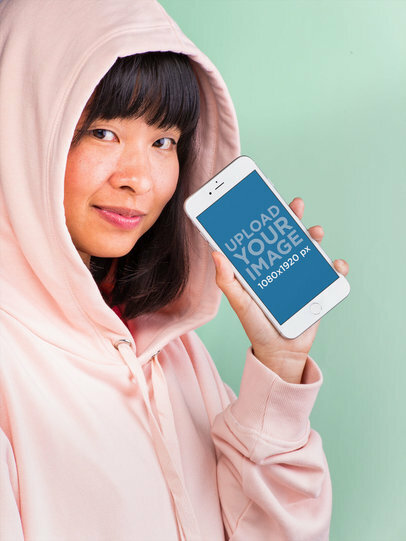 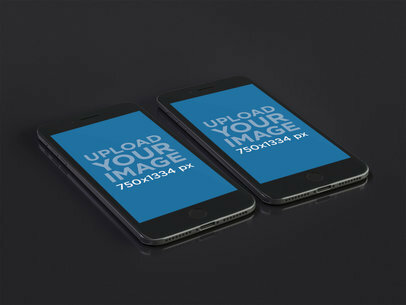 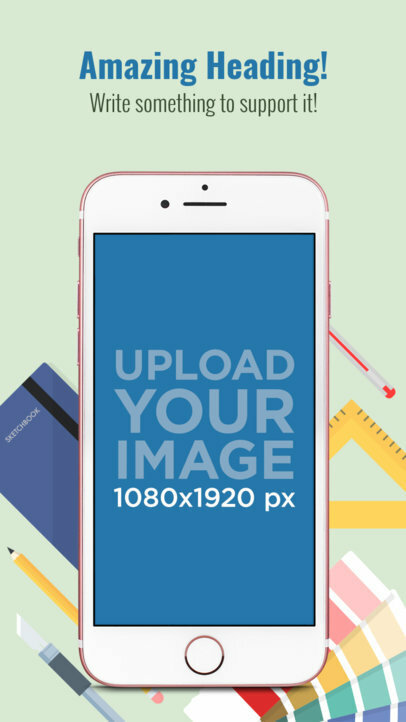 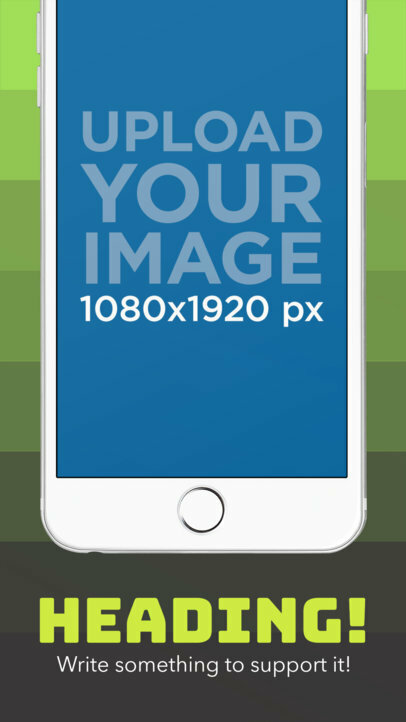 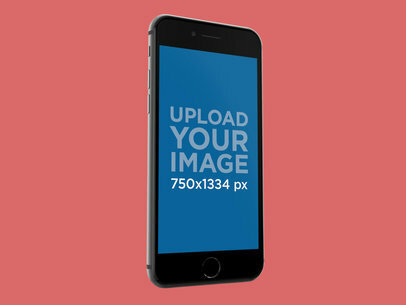 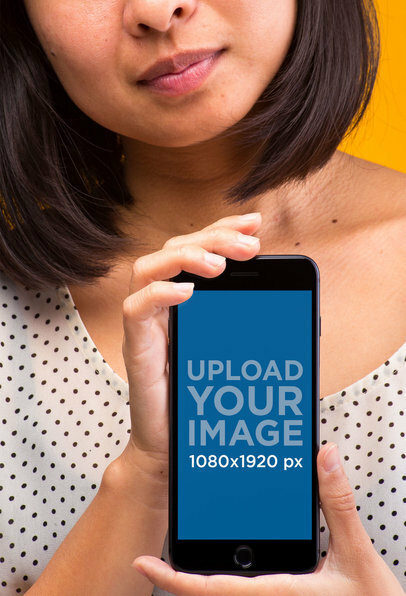 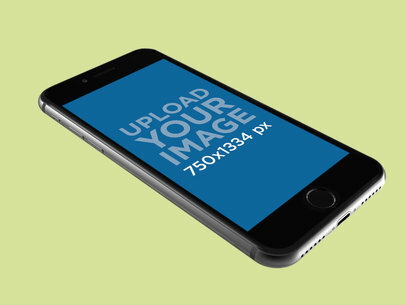 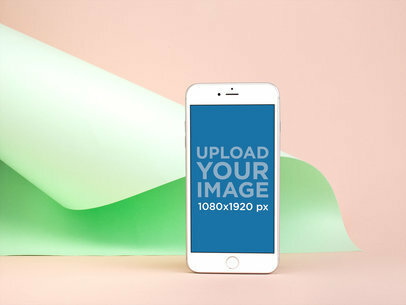 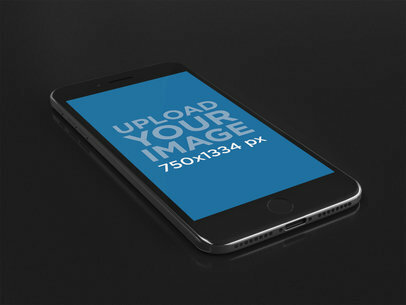 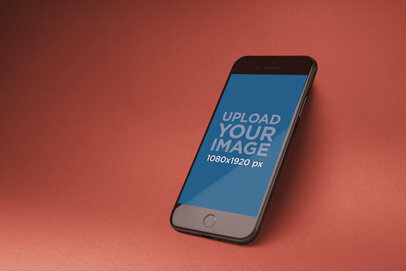 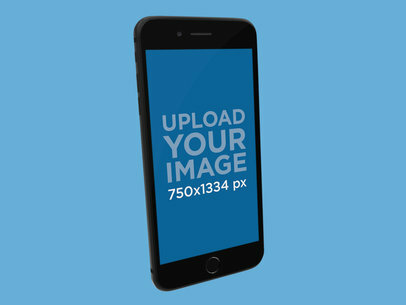 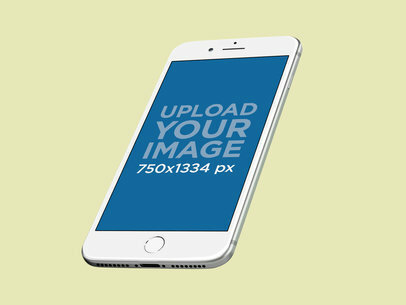 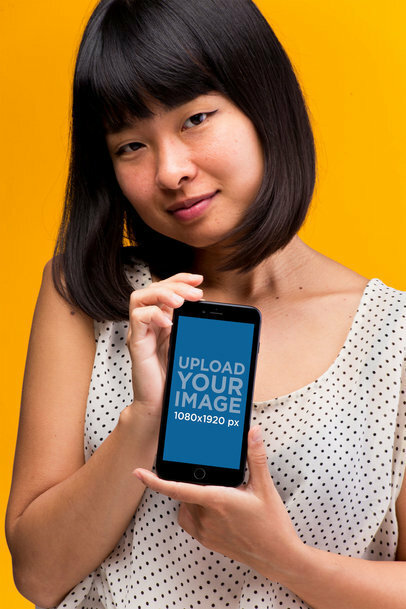 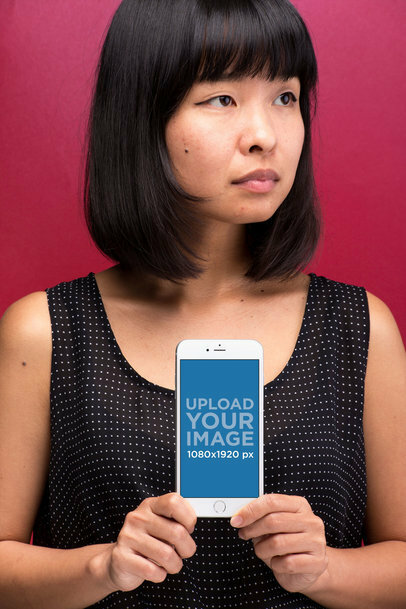 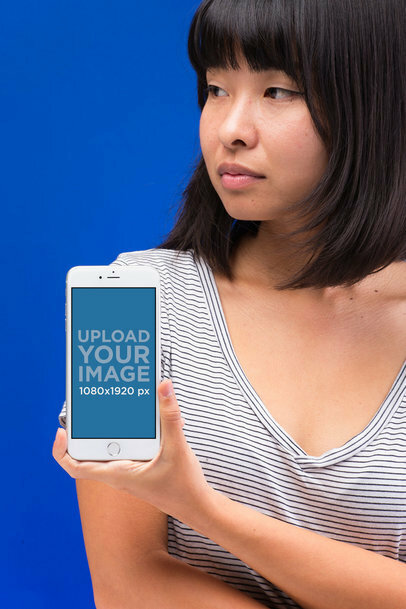 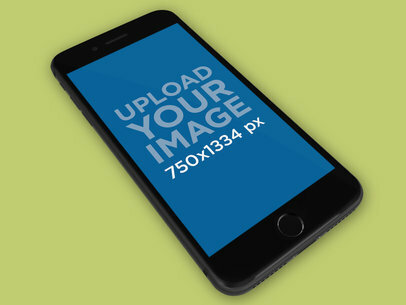 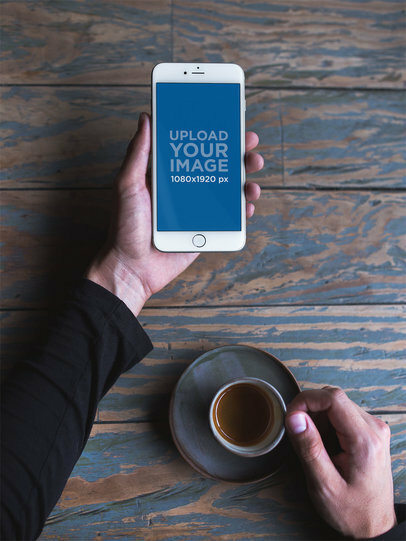 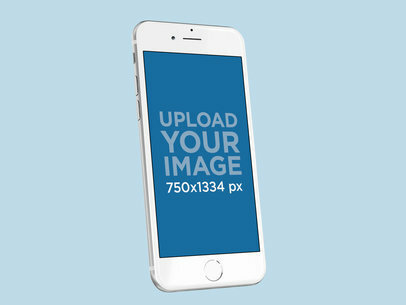 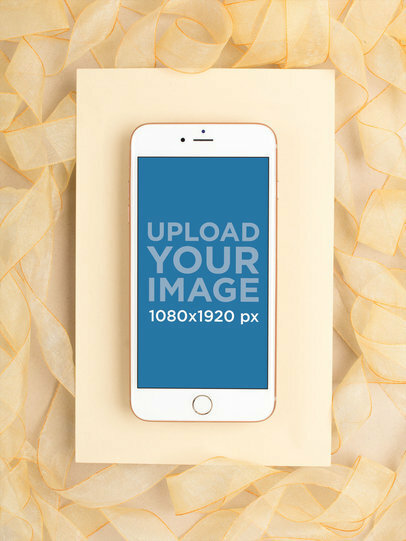 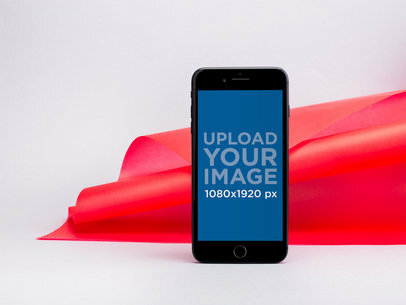 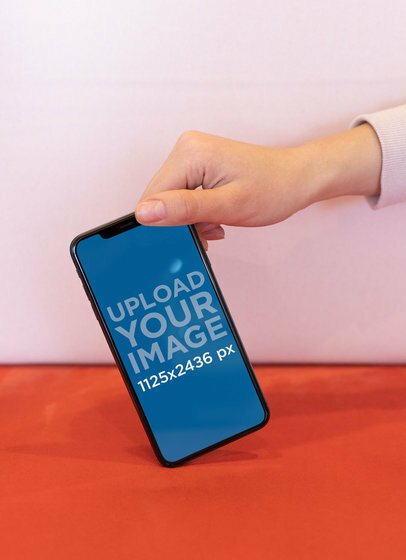 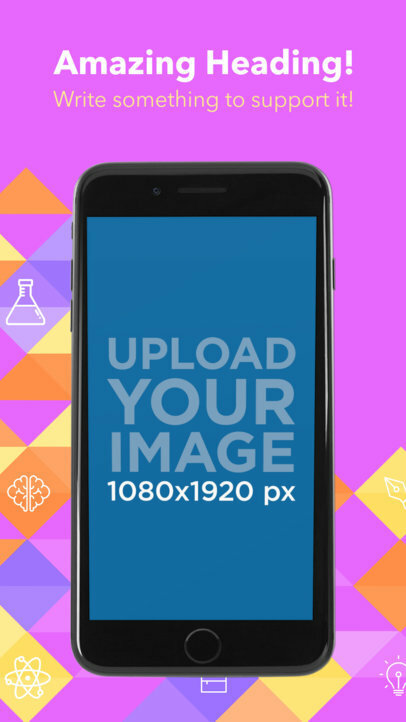 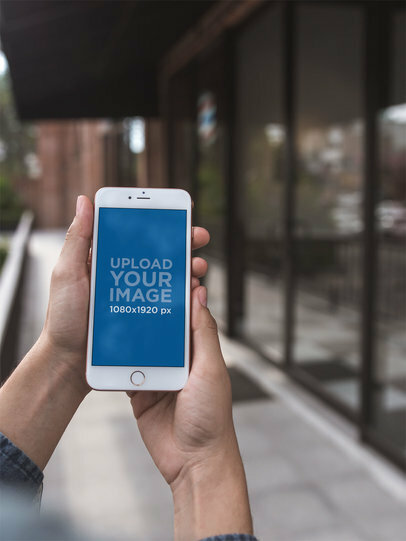 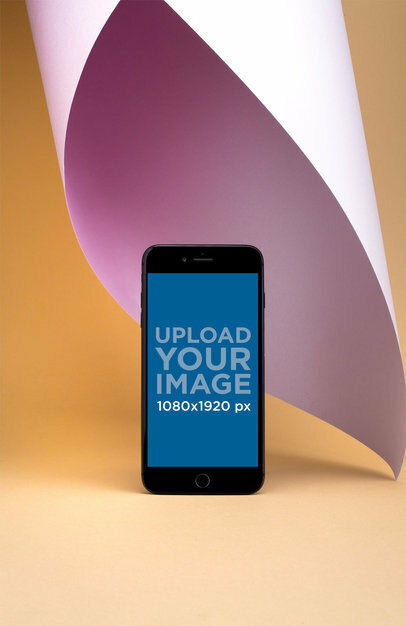 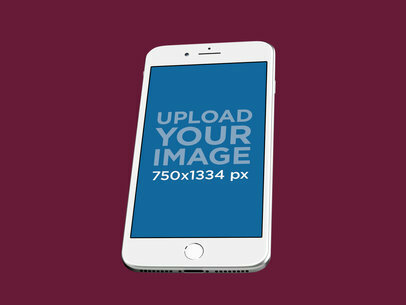 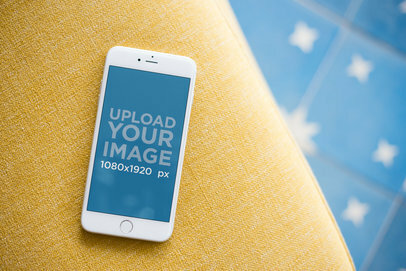 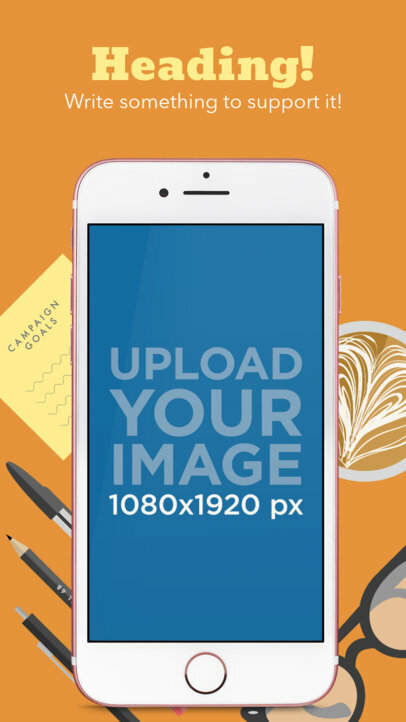 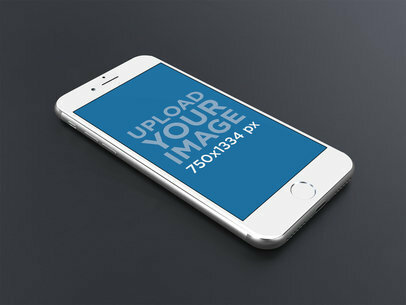 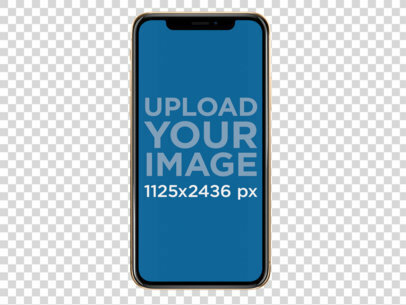 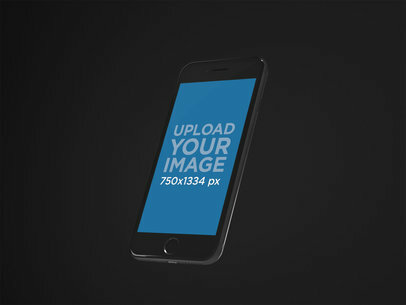 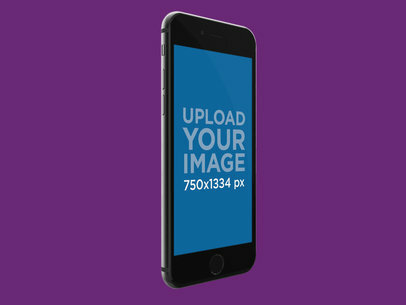 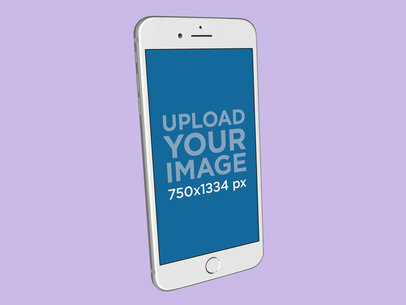 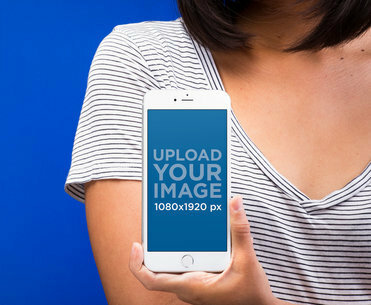 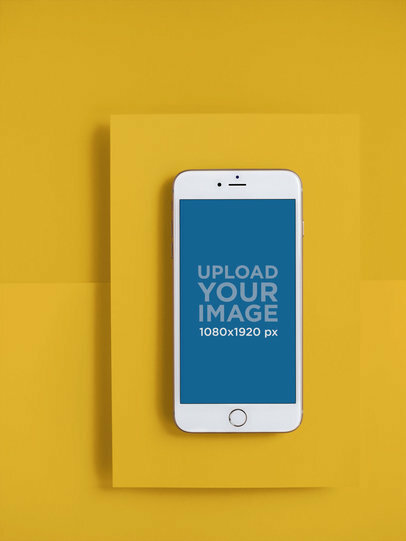 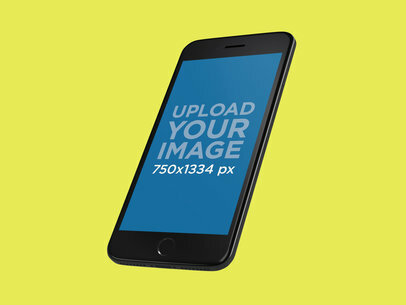 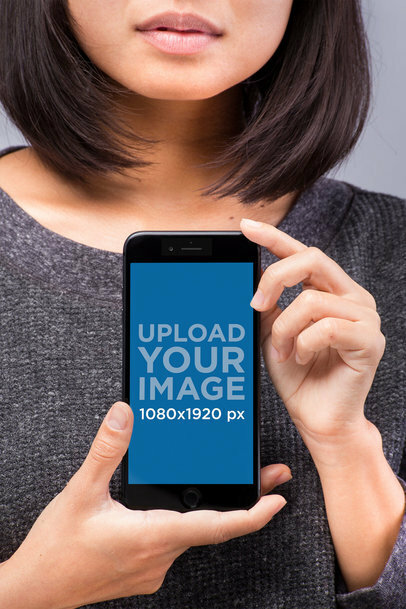 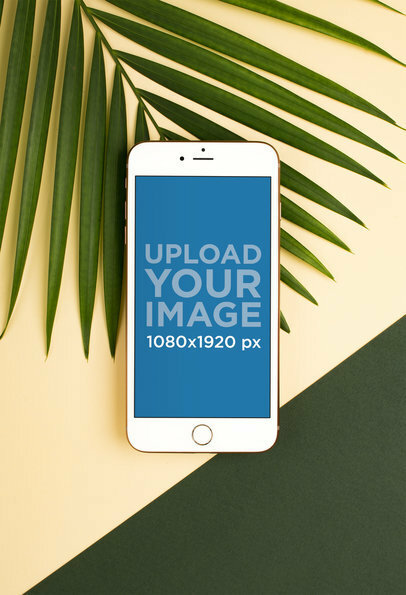 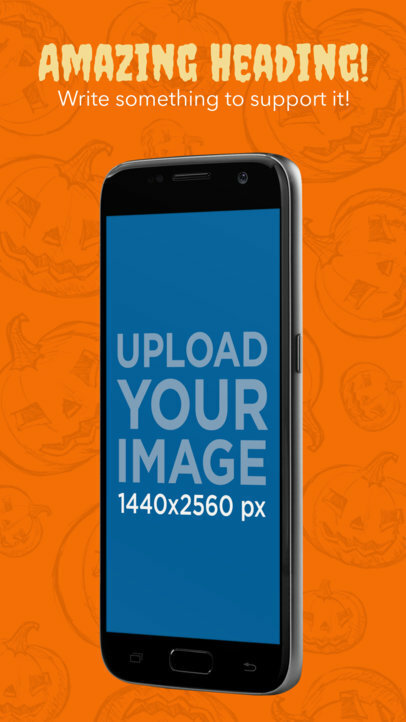 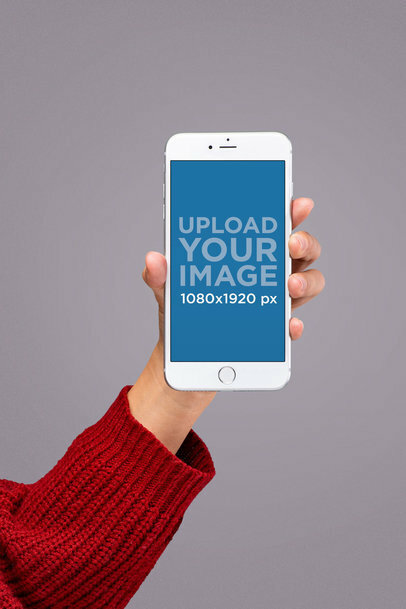 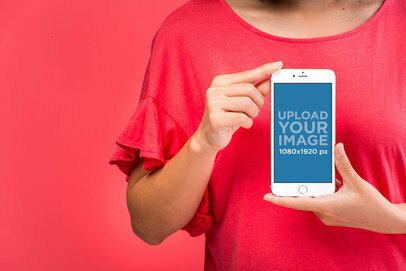 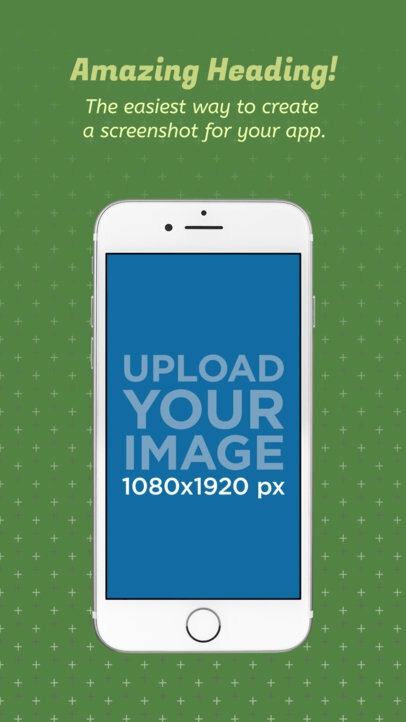 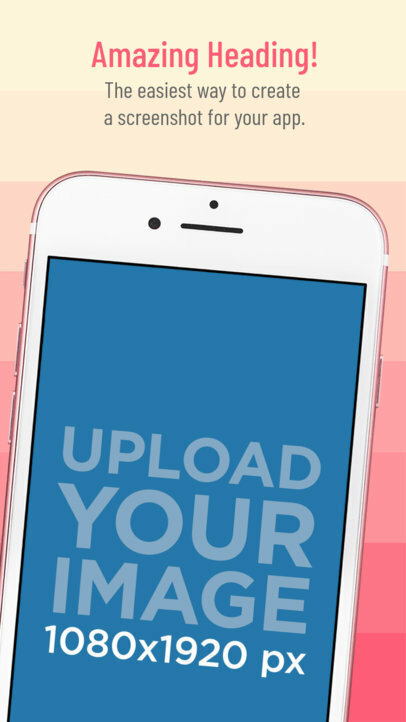 The iPhone is turned on, and the screen is displaying words that say "upload your image 750x1334 px". 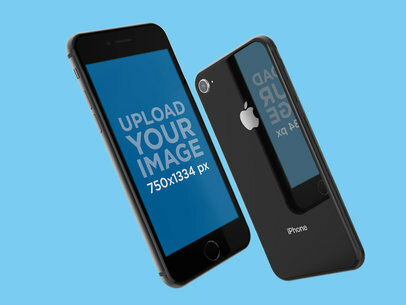 The phone is silver, with an outlet at its base and a large screen that takes up almost all the space available to it.